The Profile then briefly explains how you can modify and use these traits to give yourself a mental advantage on the golf course. While many golfers find that their game improves during instruction, those changes don’t necessarily carry over to the golf course. The Profile allows you to “go inside your own head,” and understand more about what really goes on in your golfing mind. This is the very same profile the Titleist Performance Institute uses with their touring professionals. 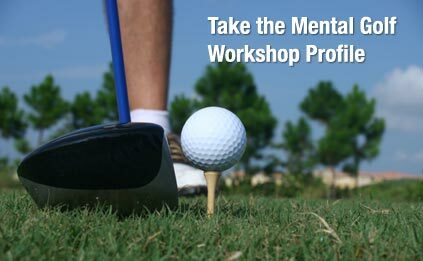 Click here to take the Mental Golf Workshop Profile.